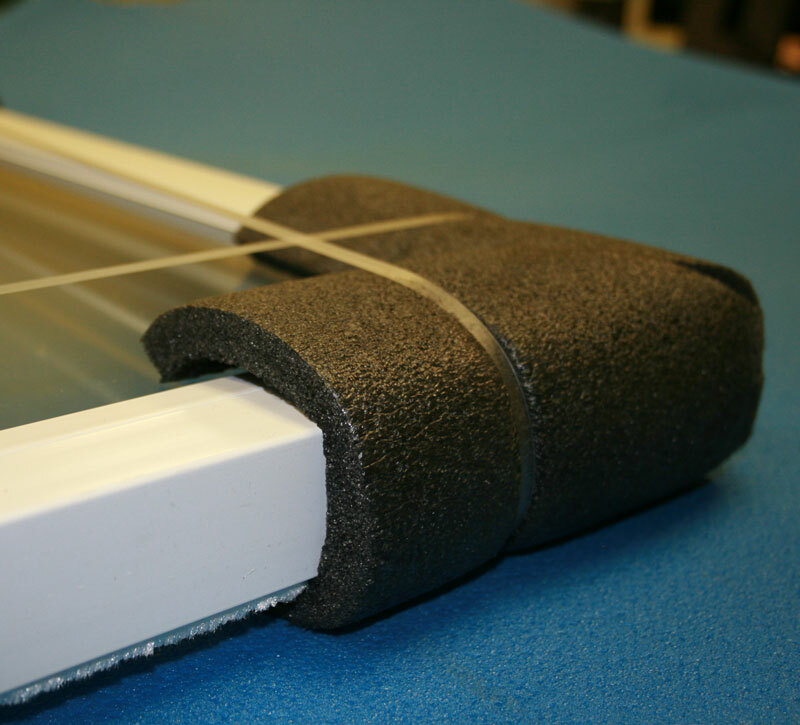 Flexible corner protector folds over corners of windows, doors, furniture, and other square or rectangular objects to prevent cracking and chipping of corners during shipping and handling. The universal shape makes our PROTEK™ flexible corner versatile enough to protect almost any corner from costly damages. PROTEK™ tubed corner protectors are ready to use out of the box. Simply fold over the corner edges and secure with strapping or twine. PROTEK™ flexible foam corners are shipped unfolded in gaylords of 750 pieces per box. 2.0# non-abrasive polyethylene foam corners are charcoal in color. Our award-winning PROTEK™ packaging resists weather and water and offers high compression strength so it won’t crush or crumble under heavy load weights.